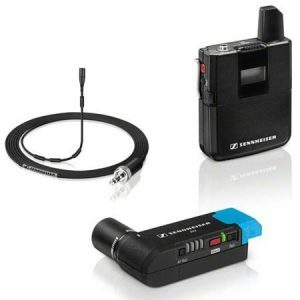 The Sennheiser AVX Wireless lavalier microphone with transmitter and receiver is an easy-to-use digital wireless mic solution for video and stage. We include the MKE-1 lav with windscreen, bodypack transmitter, lightweight receiver, batteries, an XLR to 1/8″ cable, and a hard case. 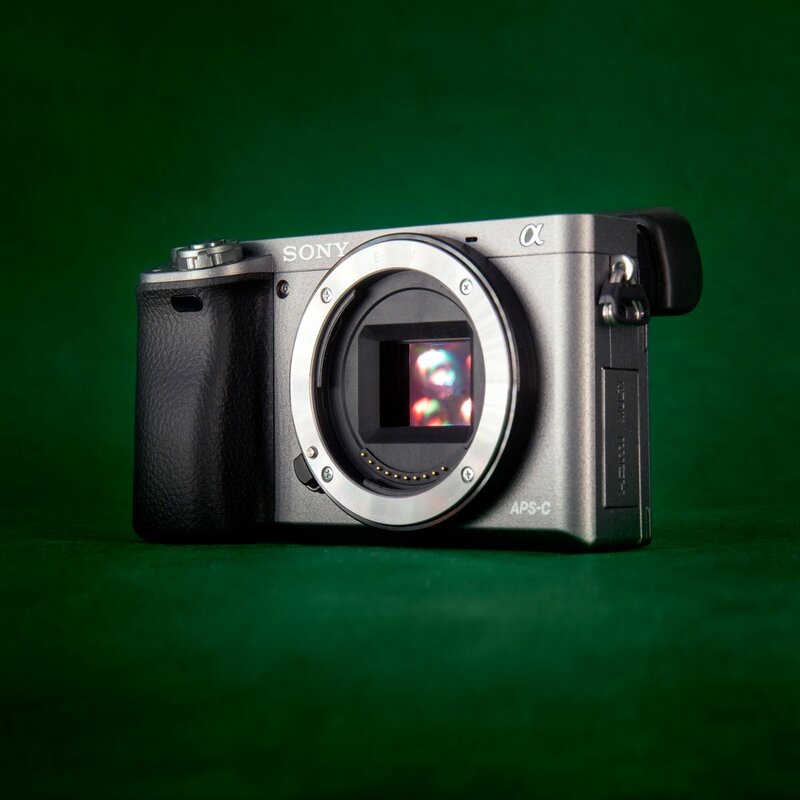 The system can be connected to cameras and mixers with an XLR or 1/8″ input. The system uses internal rechargeable batteries, and charges with any USB connection using the included micro USB cable. Battery life is typically 10-14 hours with the included batteries. 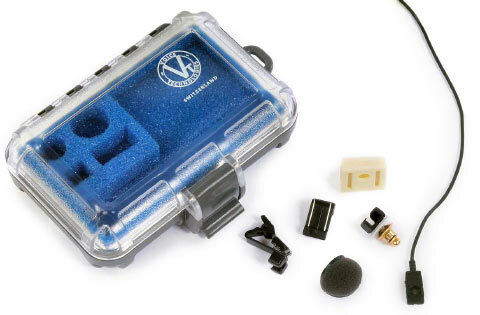 This lavalier microphone (also called a lav or lapel mic) from Voice Technologies is designed to be paired with a wireless lav system like the Sennheiser G3. 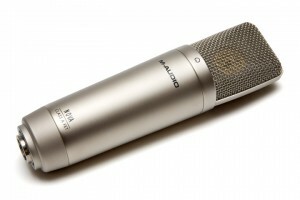 It’s an electret condenser microphone with an omnidirectional pickup pattern. The microphone comes in a hard case and includes a clip, windscreen, vampire/dracula clip, tie clip, and rubber body mount. 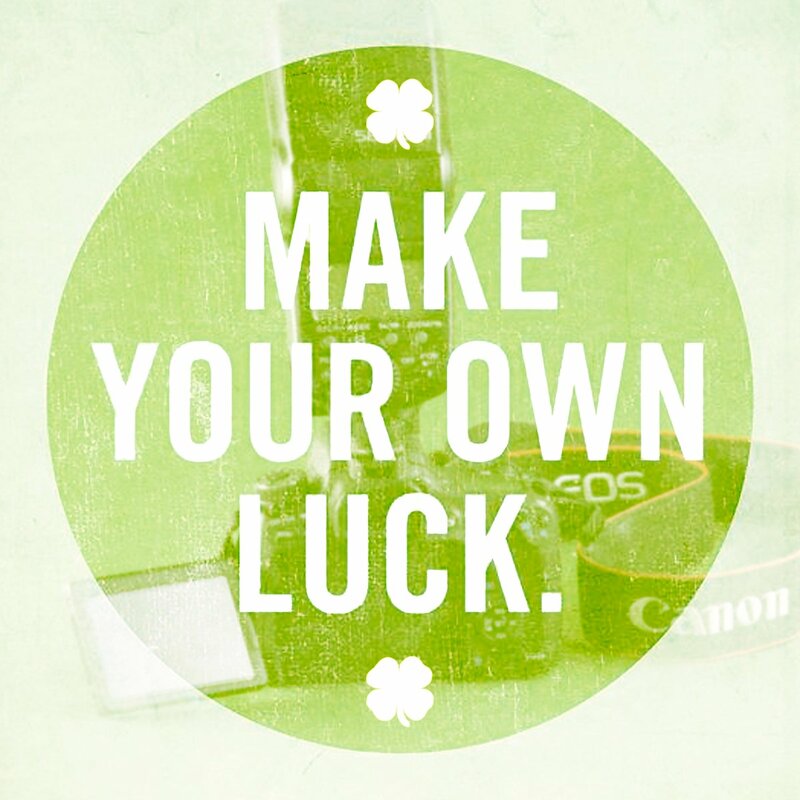 It’s appropriate for broadcast, theater, and film. 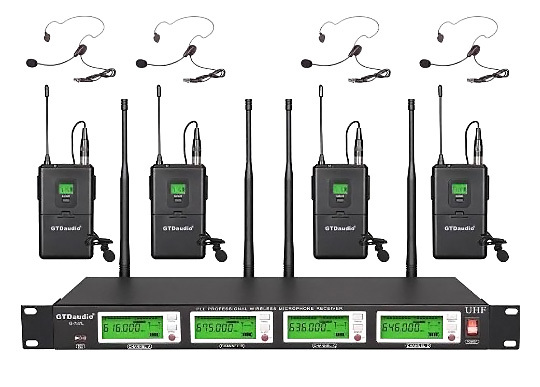 This rental includes four lapel or headset microphones, four bodypack transmitters, a rackmount receiver, and a 4-channel short XLR snake for connecting to a mixer or other device with XLR inputs. This wireless stage mic rental is perfect for live events, stage performances, or anywhere you need discrete, easy-to-use microphones. We include AA batteries for hours of operation. 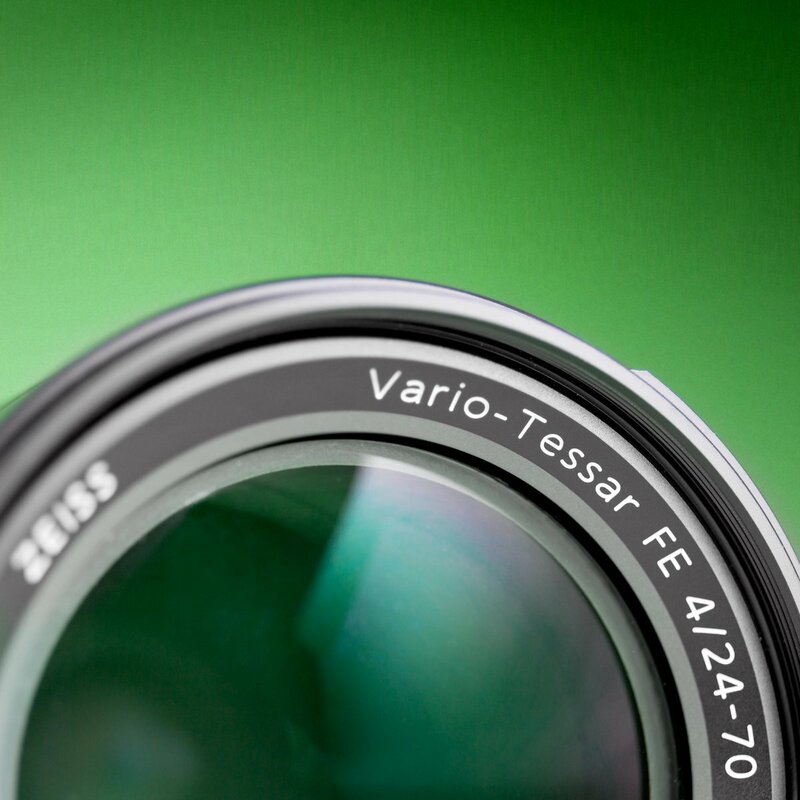 This system is effective for about 100 feet line-of-sight. If you need something with more range and reliability through more difficult conditions, we suggest renting our Sennheiser G3 wireless lav systems. 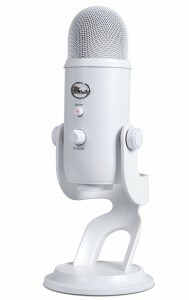 The Blue Yeti is the defacto standard among USB microphones. Connect your microphone directly to your computer, without needing a sound board, mixer, or preamp. This is a great option for webcasting, voiceover, or anywhere you need studio sound without any complicated setup. 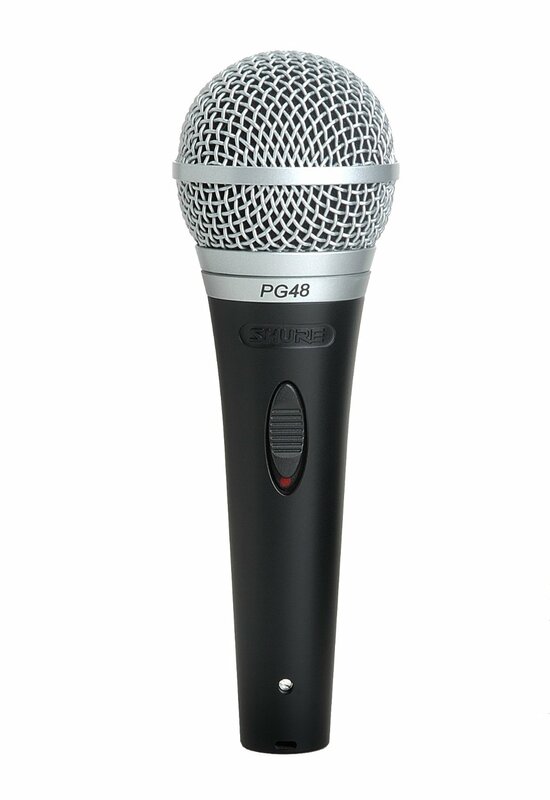 This USB microphone has four different pickup patterns, making it versatile enough for nearly any application. We include the desktop stand with your rental. We also rent the Blue Radius Shockmount designed specifically for the Yeti, to help reduce handling noise, when mounted to a standard mic stand. 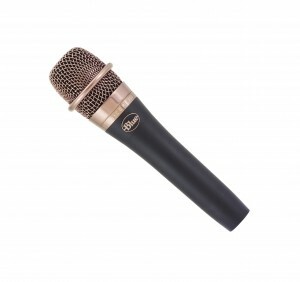 The Shure Beta 58A is a supercardioid dynamic handheld microphone that’s one of our most popular rentals. Get the classic “Shure sound” that cuts through the mix, with bright midrange and moderate low-frequency rolloff for proximity effect control. The mic is great at controlling feedback, with highly directional sensitivity. Signal output is relatively high, making the mic a great choice for stage, or any time you need to run a long cable. Discounts are available for rentals with multiple microphones. The Blue Encore 200 handheld microphone is a dynamic capsule that’s engineered to deliver natural vocals with balanced highs and clear details, and exceptionally high gain for exceptionally low noise, even over long cable runs. The Encore 200 is a very popular renter for live performances, and it works well for studio and broadcast, as well. The mic requires phantom power. 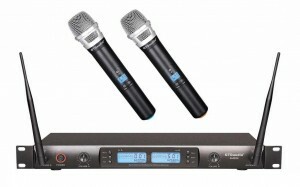 This wireless handheld microphone kit gives you two wireless microphones and one rackmount receiver. We’ll make sure you’re configured to run out-of-the box, but you can set the frequencies and levels of the microphones separately, to suit your needs. The wireless receiver has separate mic level XLR outputs for each channel, or a single line-level output from the 1/4″ jack. The system uses UHF frequencies, and up to 30 wireless microphones can be used at the same time if you add more units. They are rated for up to 500 feet, and in our tests, we were able to get consistent reception even from outside to inside our building. We include AA batteries for each of the handheld mics. This is a great wireless handheld mic system for small corporate events, as well as DJs and weddings. Don’t forget to order cables and extra batteries if you’ll need them. If you’d like our help planning audiovisual for your event, give us a call! One of our AV techs can help you find exactly what you need. 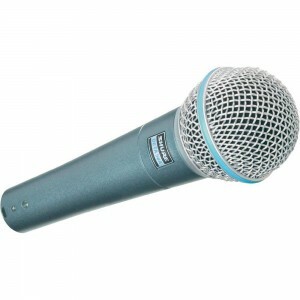 This simple handheld microphone is popular for events and presentations. It features an on-off switch for simple operation. Moderate isolation helps eliminate feedback while still making the microphone easy for anyone to use. 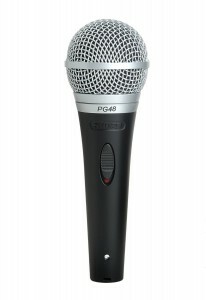 This is a dynamic microphone, which means it does not require phantom power. It connects to any PA system or camera with standard XLR cables. If you want to go wireless, we can help you with a wireless adapter. Looking for an audio system to go with your microphone? Get in touch and we can build an audio rental package to suit your needs. 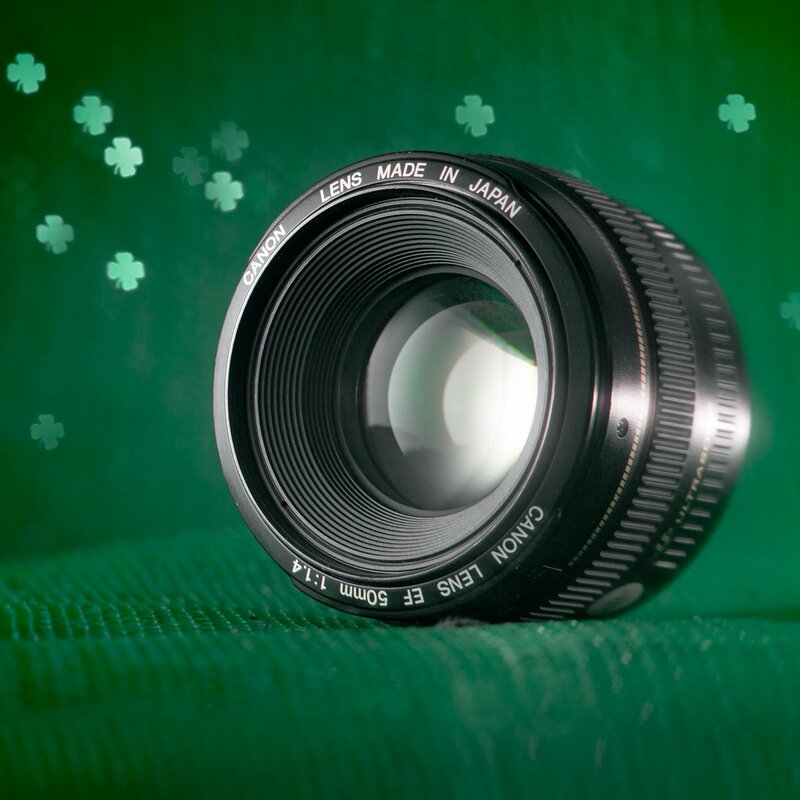 With the popularity of our Budget Filmmaker Kit, we realized we should help Milwaukee get better sound for their money, too! 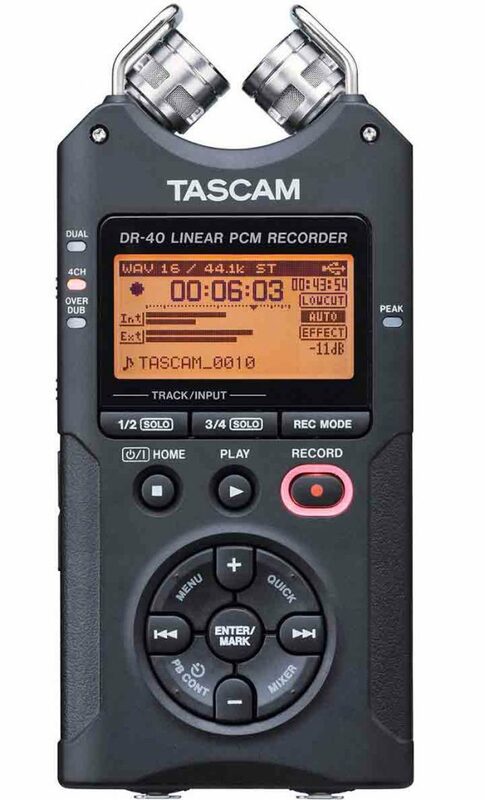 Our Budget Sound Kit comes with a Tascam DR-40 field recorder, SD card, batteries, cables, headphones, and your choice of either a Sennheiser G3 wireless lav system or a Rode NTG-1 shotgun microphone, with boom pole, shockmount, windscreen, and deadcat. This is everything you need to get great audio on-set or in studio.